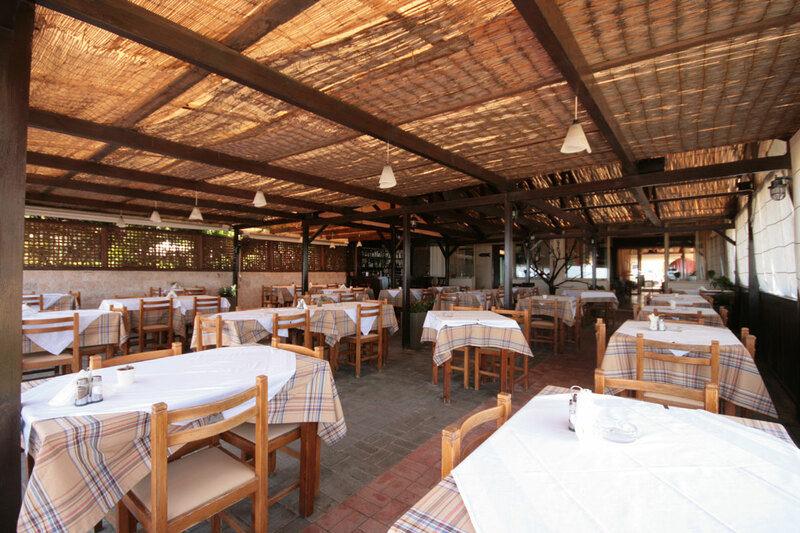 In this restaurant lovers of great taste can enjoy Italian and Greek cuisine. 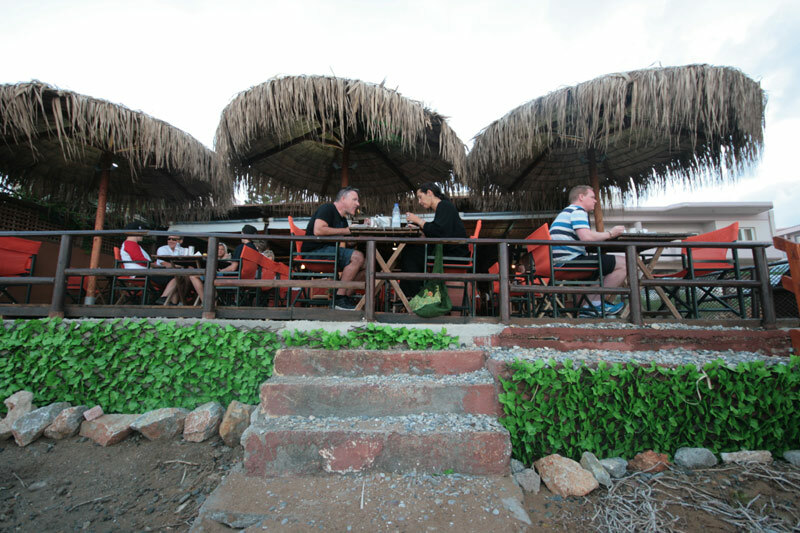 The authentic tastes promise an unforgettable meal in family atmosphere. 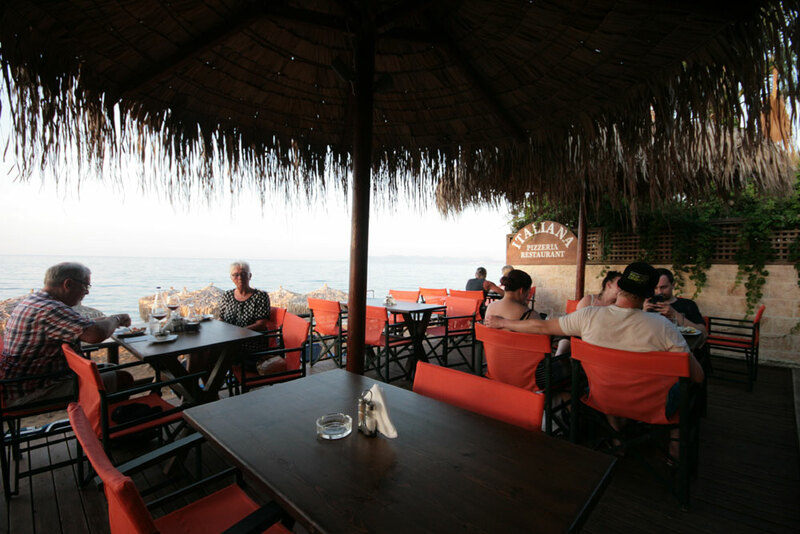 Enjoy the excellent service from Nikos and Kostas in Italiana Restaurant and the unforgettable view of the Cretan Sea in Ag. 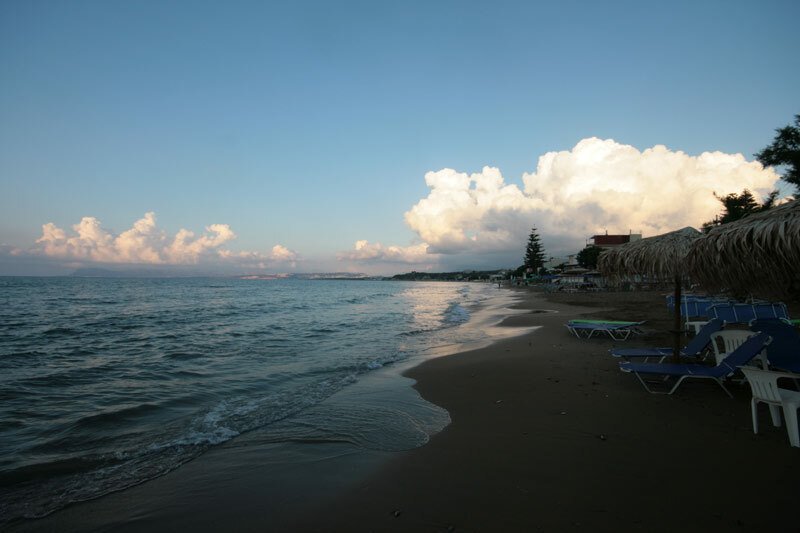 Marina beach and the island Theodorou. 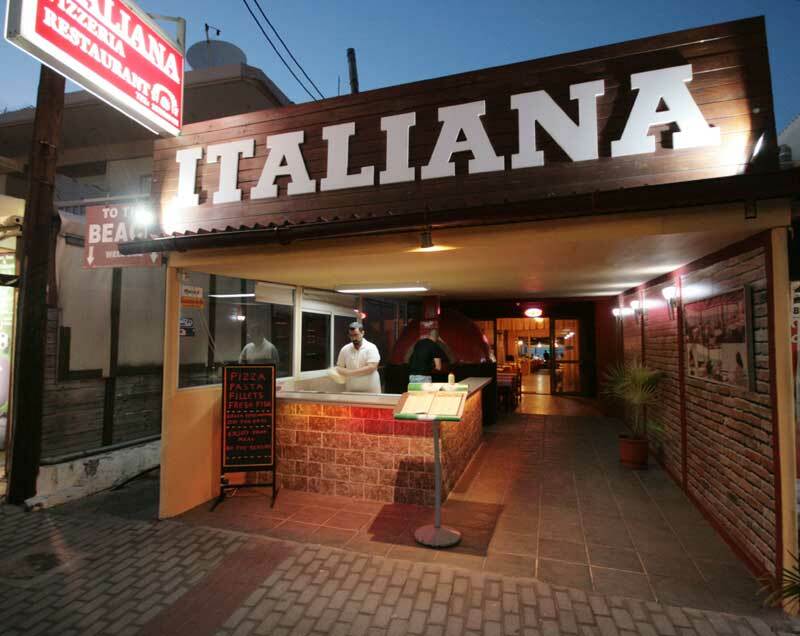 Very Tasty pizza in any kind of combination is prepared in the traditional wood oven. 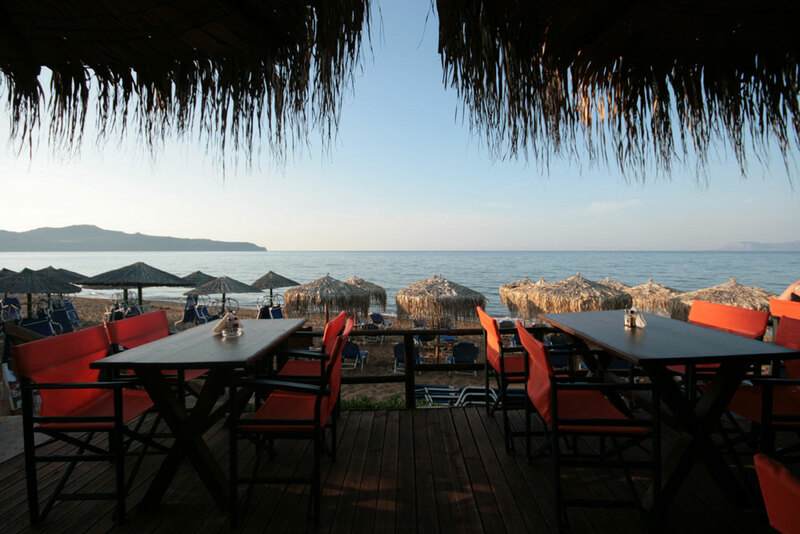 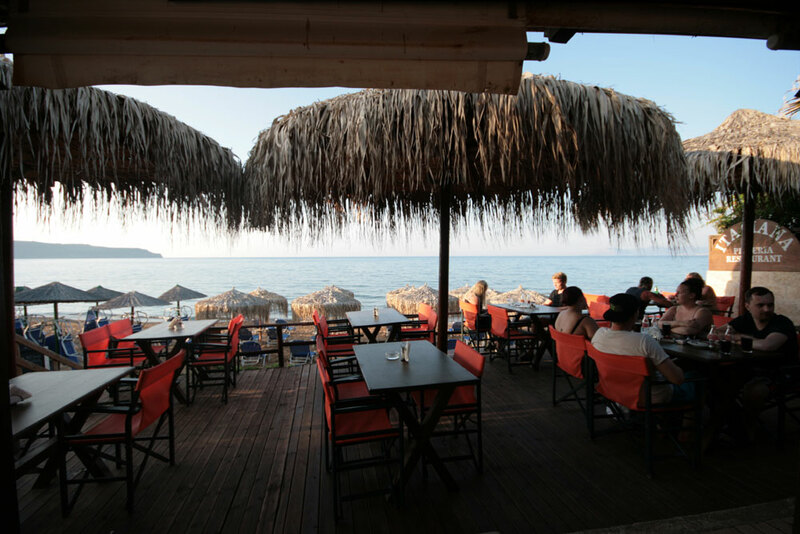 You can also taste pasta, traditional Cretan dishes and seafood. 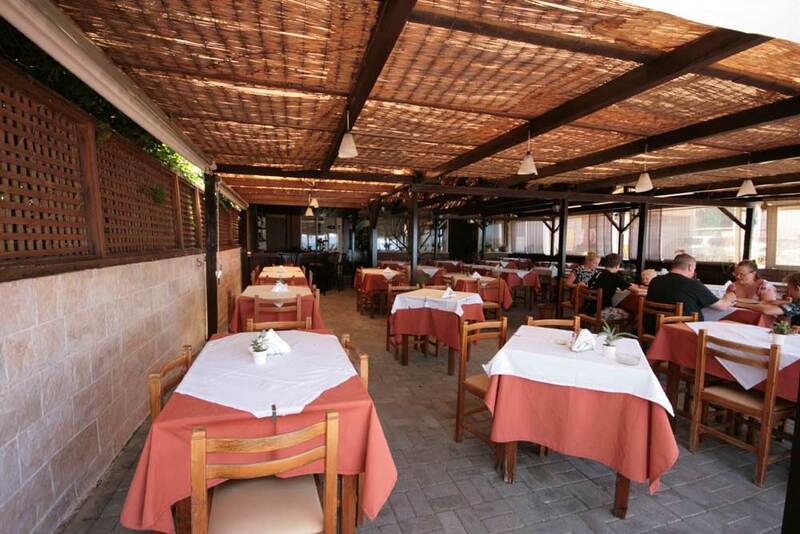 We recommend you our specialty shrimps with garlic in a la creme sauce. 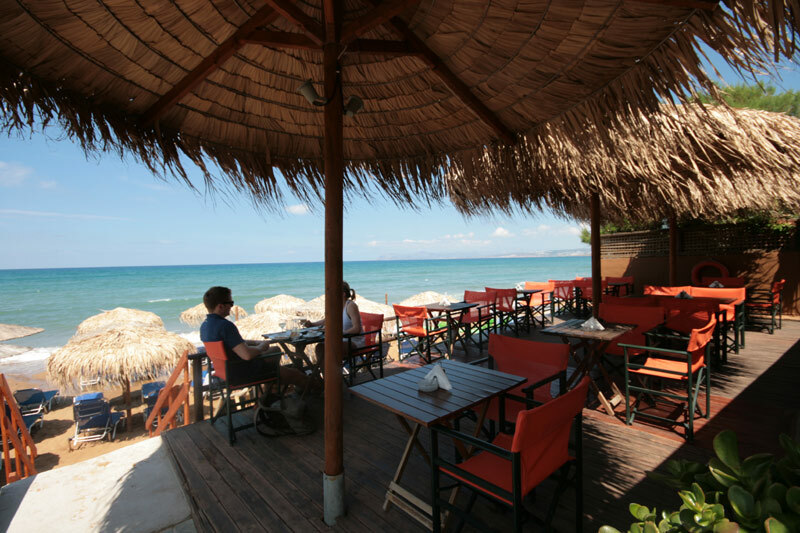 There is an excellent selection of Cretan wines and homemade wines from Cretan vineyards as well as beer. 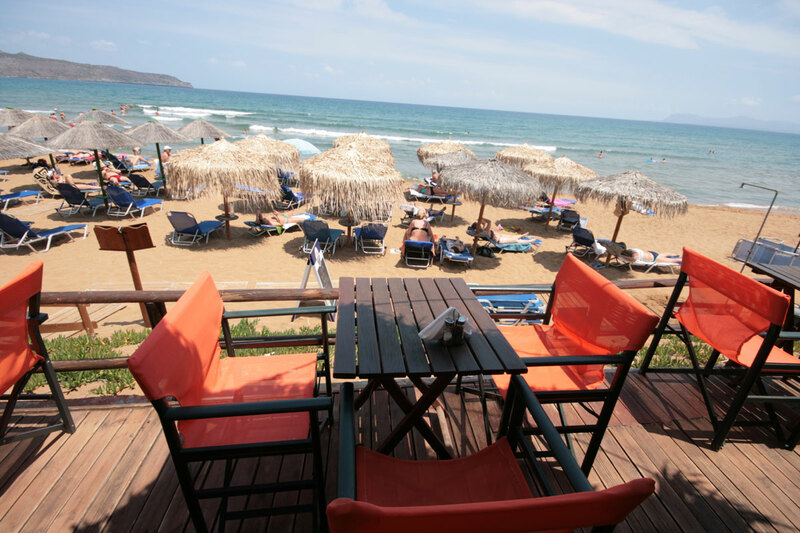 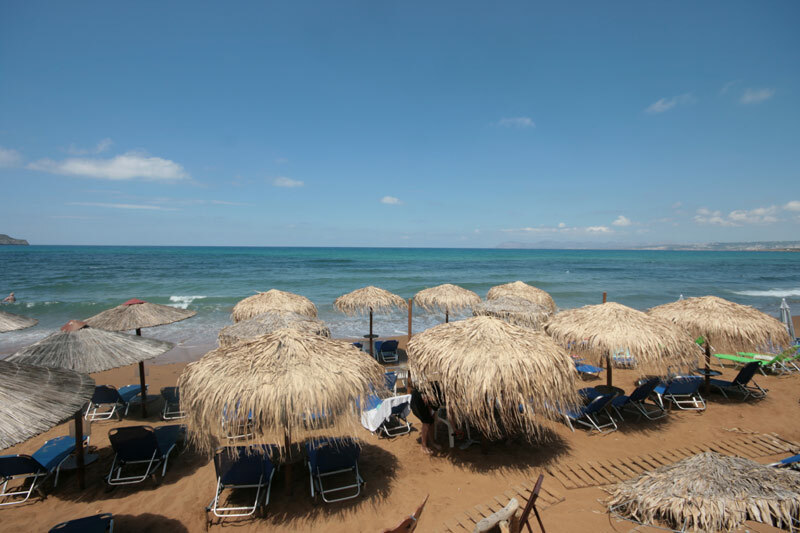 You can find us on the coastal road in Agia Marina, approximately 8 km west of Chania.